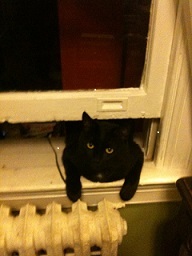 Koko, the celebrity cat and Jean Claude, the black Bombay, are back at their primary residence at CCL’s in Washington, D.C. Koko enjoyed her stay at my house. 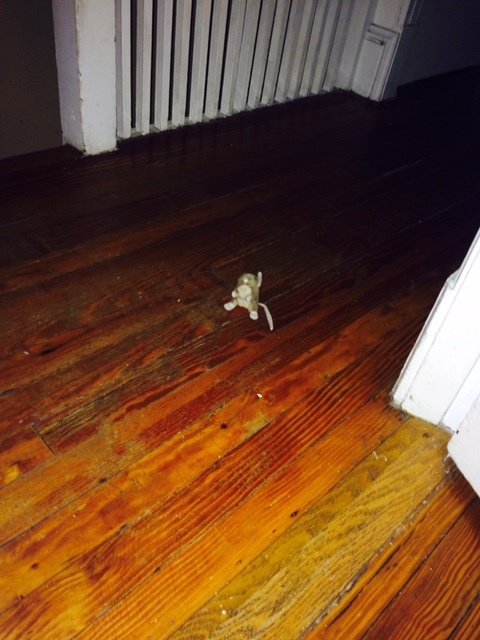 Several nights she left me a little surprise, a toy mouse, which faced me at the door to my bedroom. Later she would remove it to play with it during the day. 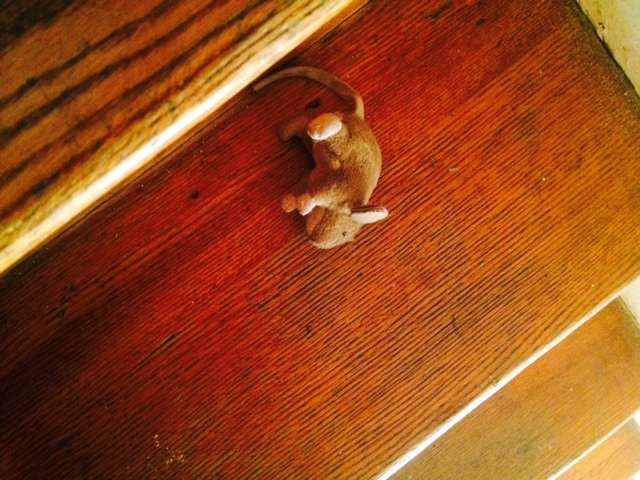 The mouse looked very real but it didn’t frighten me ,as a gardener I’m not afraid of bugs etc. In fact, I found Koko’s intent to amuse and please me genuine and touching. Authenticity and being “who you are” is the latest personal elevation trend. Life coaches and other success gurus are constantly urging people to be their “authentic selves.” Yes, “keeping it real ” is the so-called new path to personal and professional success. Alas, for some the notion of being geniune is beyond their grasp. There are a lot of phonies who seek to impress or manipulate. Their fear of who they are has engulfed their souls. 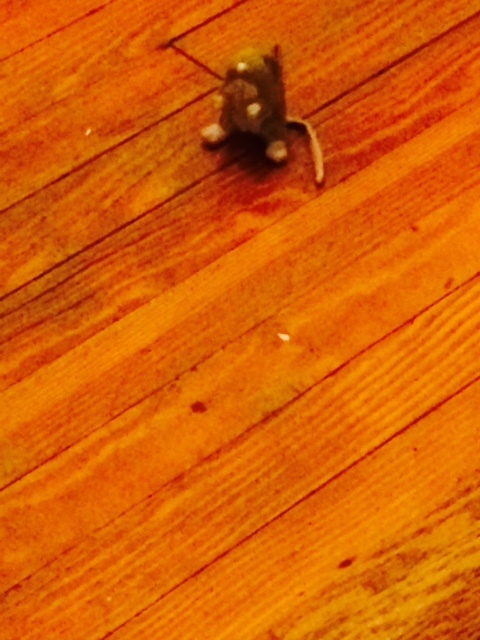 For them “keeping it real” is about as real as the toy mouse Koko presented to me in the morning. Posted in animals, Cats, Inspirational, Spirituality and tagged Authenticity, Cats, self esteem, self-help. Bookmark the permalink. Cute pictures of the mouse. The last one tells a story.